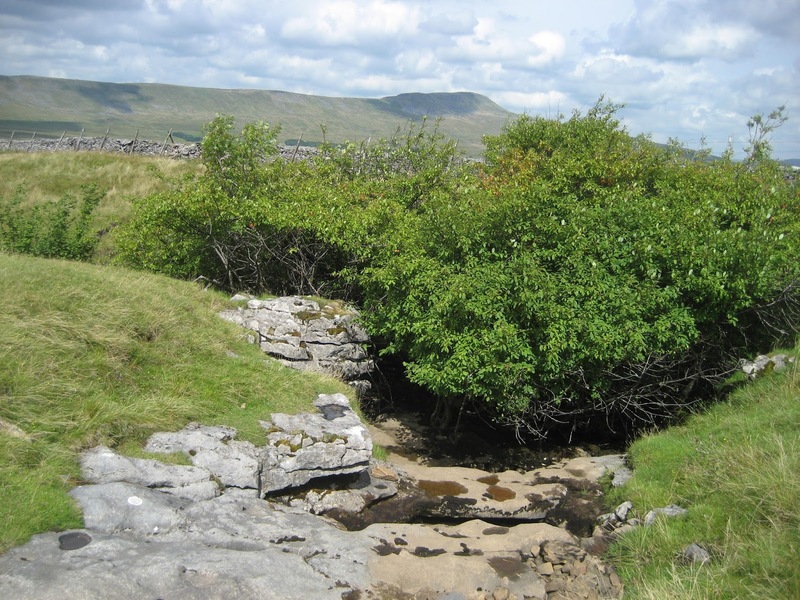 Meregill Hole (SD740757) stands apart from the other great potholes of Ingleborough in terms of both its structure and its behaviour. Aligned on a major fault running roughly north-west to south-east, it swallows water from a funnel-like catchment along the steep slopes of Ingleborough, and transports it to the God’s Bridge resurgence in the most dramatic way possible. 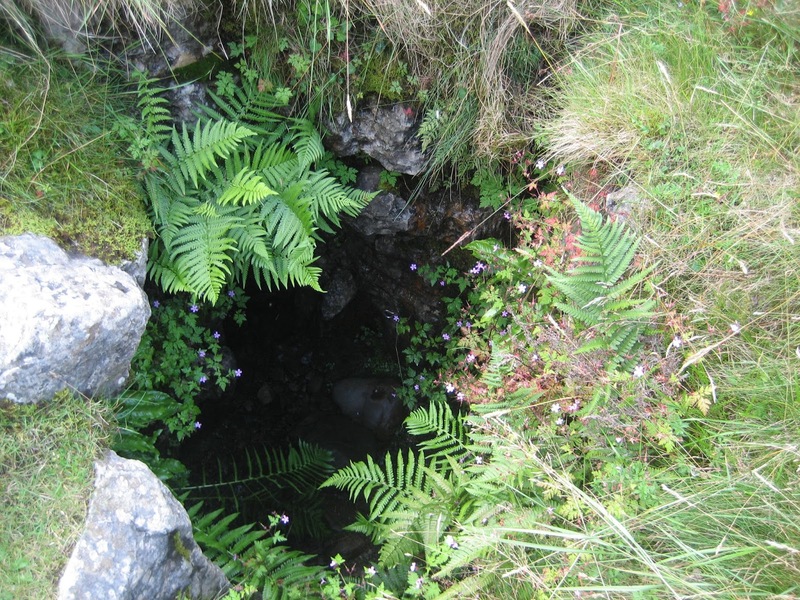 Unlike the other famous shafts of Alum Pot, Juniper Gulf and Gaping Gill, Meregill is hidden in a thick clump of trees which grow over and actually inside the shafts, so the first-time visitor often has no idea of the awe-inspiring scene beneath his feet. It pays to examine each part of the great hole in turn, in order to get a real feel for what is going on. 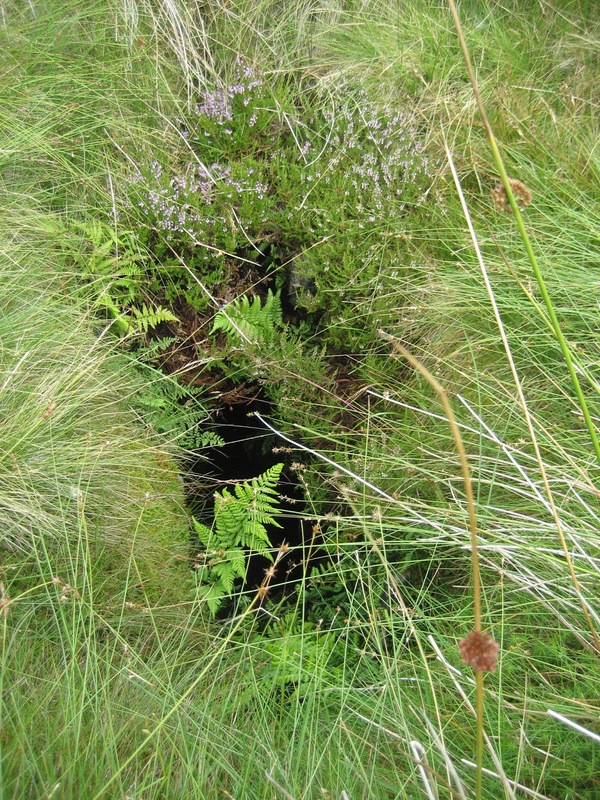 At the north-western end (nearest to the valley of Chapel-le-Dale) water from the nearby pothole, P101b, can be seen entering an attractive narrow rift, clothed in ferns and mosses, and here is the best place to get a view of the Mere itself. This is essentially a lake in the bottom of the rift: 60 metres long and about four metres wide. At this point the water stands at its deepest – and there is an outlet somewhere below (as yet undiscovered) into the Great Scar Limestone beneath. In the driest weather the water level, normally 15 metres below the moor – can drop to 37 metres and yet the water at this north-western end remains deep and sinister. The entire lake rests on a floor of glacial debris and as there is usually a substantial depth, the outlet through the floor and into the limestone must be very small. Whatever happens to the water leaving the shaft at this side is a complete mystery. Walking along the south side – Meregill appears at first to be two main shafts – but in fact it is one enormous hole. The grassy saddle appearing to separate the two parts is in fact a massive bridge of limestone spanning the 60 metre length of the Mere. Reaching the opposite end, a pinnacle of limestone can be made out beneath the tree cover – and more can be heard than seen: the roar of water below reaching deafening proportions in wet weather. 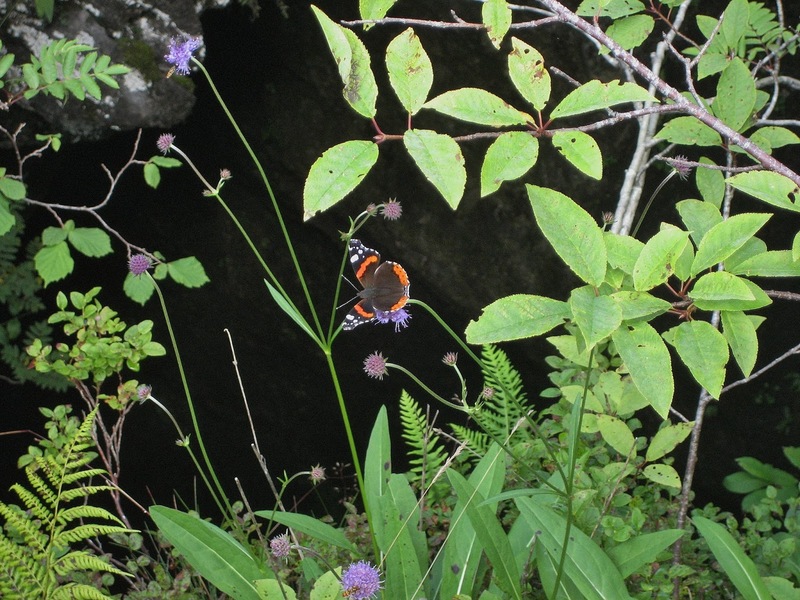 Intrepid visitors can, with great care, scramble into a gully beneath thick branches for a superb view of the Mere, trapped between walls of limestone – though the main waterfall is tantalisingly out of view except in the wettest conditions. 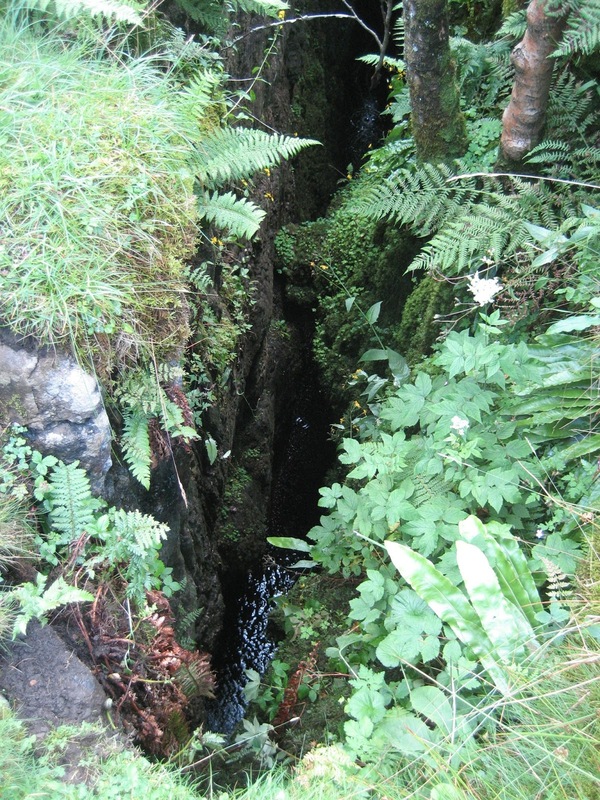 Below, at this south-east corner, water leaves the Mere and travels eastwards through a small cave passage which is normally sumped completely. Only in the driest conditions is it possible for cavers to follow it, unless they have diving gear. The established method for those explorers wishing to pursue this route is to reduce the amount of water entering the shaft. This is done by using a specially dug diversion ditch up on the surface, allowing the Mere to drop to sufficient level for the cave passage to be entered. On the north side of the shaft, two more entrances: The Aven Entrance (SD741757) and Little Meregill allow a by-pass of the sump and a more straightforward way-in, though again these are for cavers only. Ordinary mortals must be content to inspect the entrances and imagine! 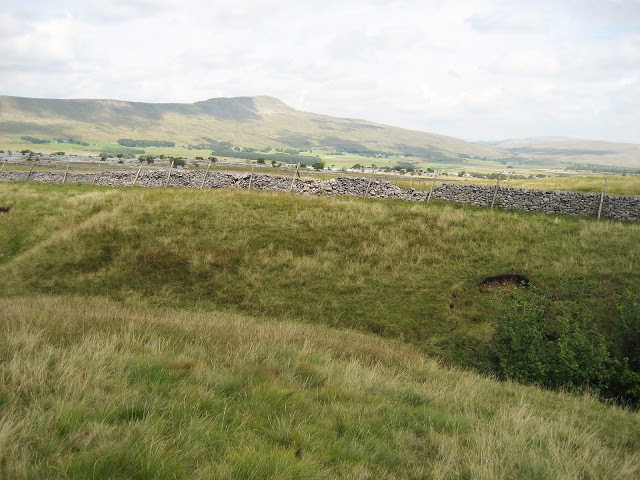 From this point Meregill Hole is one of the undoubted highlights of the Ingleborough underworld. Uniquely, the passage follows the fault eastwards into the heart of the mountain, below the overlying Yoredale beds, dropping down a series of pitches into the spectacular Canyon. This huge rift along the fault has a roof over 21 metres high, narrowing down to a final waterfall which drops 26 metres to the main drain. Here, Meregill begins to behave normally. The water has to get to God’s Bridge – somehow – and here it chooses to leave the fault and head north for 762 metres, until disappearing into sumped passages (part of the Roaring Hole system) linking eventually to the resurgence at the base of the limestone. 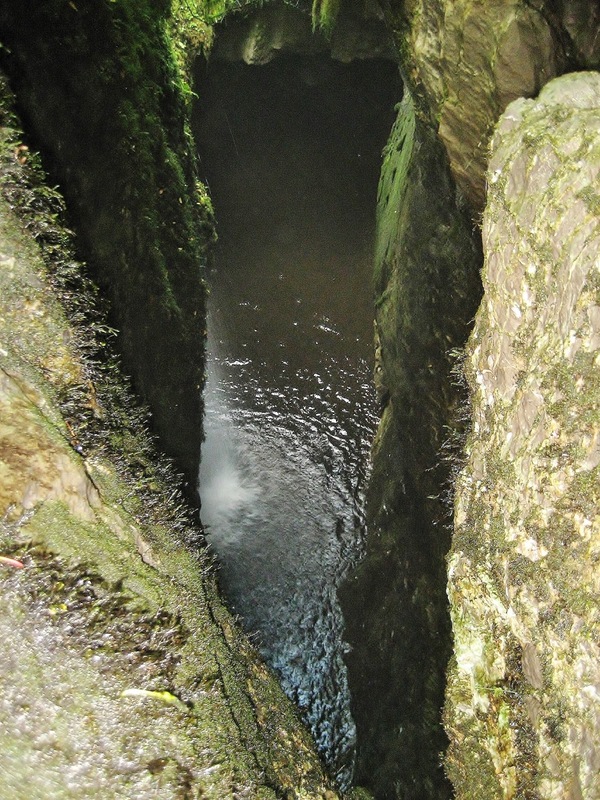 With its unique Mere, aggressive and unpredictable moods, secretive surface appearance – and an awesome depth of over 181 metres (540 feet), Meregill Hole has to be one of the truly great natural wonders in England.